Moshe is an accomplished serial entrepreneur in the technology sector. Moshe Hogeg was chosen as one of Israel’s top movers and shakers byForbes magazine. He is chairman, co-founder and Managing Partner of Singulariteam, a prominent Israeli tech venture capitalist vehicle with $150M USD. Singulariteam was chosen as the most active VC in Israel in 2015 by IVC. Previous to this Moshe has co-founded SIRIN LABS which launched Solarin, the world’s most high end and secure mobile phone. It opened boutique stores in Mayfair in London, Herods boutique store in London, and Cannes. Moshe is also known for being the founder of ‘Yo’. 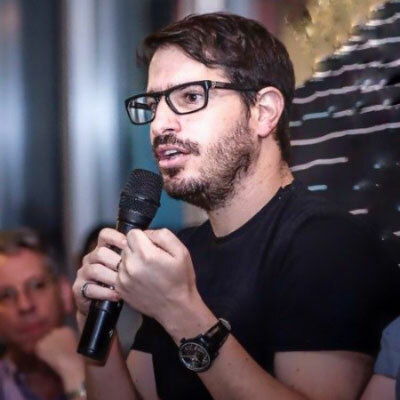 He is considered by many to be one of the most fruitful serial-entrepreneurs in Israel, and is currently Israel’s most active investor in Blockchain ventures.